Thanks for joining Coco and me for the Ultimate Coffee Date. 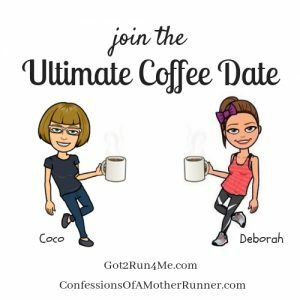 This month, Runfessions and Friday Five all coincide so let’s just combine them all into one big Runfessions with the Ultimate Coffee Date. The more the merrier right! I have lots to share this month so let’s get right to it. Tomorrow is our end of the season 5K race for the fall Girls on The Run Season. I am so excited to celebrate with our almost 70 girls on their achievement. Stay tuned for more details next week. Fingers crossed for good weather. I did not get selected in the lottery to run the New York City Half. While bummed at first, I quickly remedied that by signing up for the Jingle All The Way 15K next weekend. I feel like I need an excuse to wear this tank top. Wouldn’t you agree? I will be entering the lottery tomorrow for the Cherry Blossom 10 miler race in April. It’s one of my favorite DC races. I know some of you are thinking about entering as well. Fingers crossed we all get in! Party in DC. By party I mean carbs, going to bed early and running. My family gave me a real camera for birthday a few weeks ago. I have absolutely no idea how to use it but I am excited to learn. I would love to become a better photographer and up my game with the food pictures. Our annual MRTT holiday party is next weekend and I could not be more excited! This is last year’s photo and we expect an even bigger group this year. We clean up well! Your turn! If we were having an ultimate coffee date, what would you Runfess and tell me? Looking forward to any Holiday parties? Entering the Cherry Blossom lottery? Yes I am excited about learning how to use it! I runfess I have one of those “real” cameras and the teenager ended up taking it to school for her photography class…cuz I never use it. My bad. Sorry about the NYC half but yes, you NEED to wear that fun tank! I hope we all get in too! Fingers crossed. I love that tank top – so cute! Fingers crossed you get into the Cherry Blossom 10 miler. Wow your MRTT group is huge. Seeing things like that is why I love the running community so much. Exactly why I love the running community as well! You have such a great group of MRTT runners! I always say this but I need to check to see if there’s a chapter (? Club?) near me. Your MRTT group is huge!!!! I wish I had a group like that in my area 😉 (At least my virtual group is solid). I”m hopeful the Cherry Blossom comes through for us! 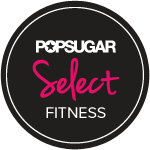 our virtual group is indeed solid! Fingers crossed for CB it will be a blast! That’s a great camera! I have the same one and runfess I’ve never properly learned to use all of the features 😉 Good luck tomorrow with GOTR! Enjoy your camera! I am anxious to hear how you like it. I would like to get better at photography. Maybe I will ask Santa for a camera next year! I would like to get better at photography as well especially with food photos. I’m thinking of asking for a real camera for my birthday. I want to do a cruise in 2020 and want a better camera than my phone and digital camera. None of them zoomed very well in Alaska, and I want better pictures the next time around. omg that mug is so awesome!! This is the first year I’m not entering the Cherry Blossom 10 Miler, I got in twice but both times I was unable to make it 🙁 I hope you get in! Have a great race tomorrow! And party next weekend! Some day I’d love to run the Cherry Blossom race.The one year I lived in MD I did not go down to see them. What was I thinking? Sorry about not making it into the lottery, but that shirt is precious and I definitely think the Jingle Bell race is perfect for it! Have a great weekend! Boo to not getting in to NYC. I’d consider Cherry Blossom but I’m a little gunshy about races with a lottery right now lol. That Jingle Jog sounds fun! I’ve heard great things about that camera, especially for bloggers! Looking forward to seeing how you like it! Good luck with the 5K today! I think the weather is pretty good for December 1st! 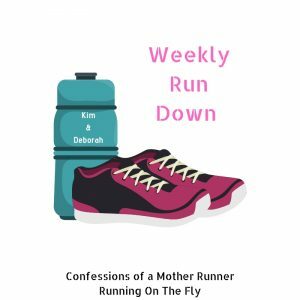 So bummed I can crash your MRTT chapter party but I know it will be so much fun. That’s amazing that there’s so many girls involved! I hope you got good weather, and I hope you have fun with the 15K! That tank top is cute!! I feel like I need one of those books for my DSLR! I love that tank and it will be perfect for the Jingle All the Way 15K. So cool that you have a real camera to work with. 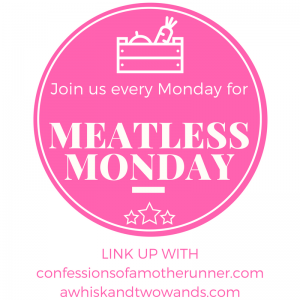 Imagine all the awesomefood and running photos you can take with it! Yes if I can figure out how to work it!! Congrats to all of your girls running their GOTR race tomorrow. You must be so proud of them all! That tank is super cute – good luck on your race next weekend! I love the GOTR program so much! I bummed that I didn’t get in the NYC Half either. I think a Christmas themed race should cheer us both up, though! I adore that red tank! Thanks for coffee. Yes I agree to both!